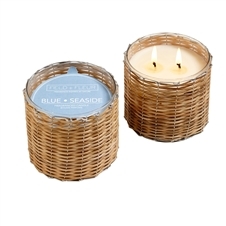 Blue Seaside 3 wick handwoven candle 21oz. 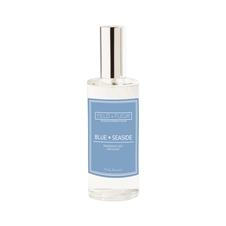 Our Blue Seaside collection of fragrances are inspired by marine, ocean and beach scents and lifestyle. 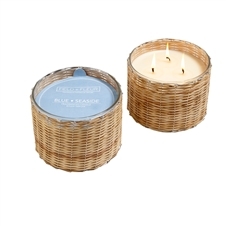 We have taken traditional marine fragrances and combined them with other tropical and warm scents to provide something that eschews the laid-back essence of a slow life lived by the sea - a sense of being next to something impossibly vast and untouched. 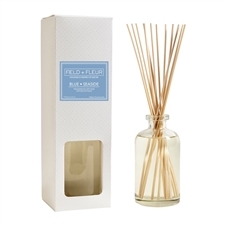 Shop our Blue Seaside fragrance line in a wide range of delivery methods, including candles, room mist sprays and diffusers so you can enjoy the scent of the sea for months on end. 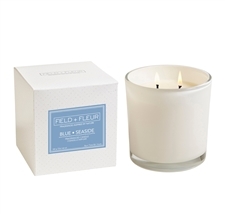 Shop ocean and beach scented candles, as well as ocean mist spray, with Hillhouse Naturals today!